Entrepreneur, investor, and podcast host Azeem Azhar looks at some of the biggest issues at the intersection of technology and society, with a focus this season on artificial intelligence. In this episode, he speaks with University of Bath professor Joanna Bryson on the kind of professional and ethical standards that need to be put in place as AI continues to grow as an industry. "Exponential View" is part of HBR Presents, a new network of business podcasts curated by HBR editors. For our full lineup of shows, search “HBR” on your favorite podcast app or visit hbr.org/podcasts. Sydney Finkelstein, professor at the Tuck School of Business at Dartmouth College, says that being the most knowledgeable and experienced person on your team isn't always a good thing. Expertise can steer you wrong in two important ways. It can stop you from being curious about new developments in your field. And it can make you overconfident about your ability to solve problems in different areas. He says that, to be effective leaders, we need to be more aware of these traps and seek out ways to become more humble and open-minded. Finkelstein is the author of the HBR article "Don't Be Blinded By Your Own Expertise." Harvard Business School professors and hosts Youngme Moon, Mihir Desai, and Felix Oberholzer-Gee discuss news at the crossroads of business and culture. In this episode, they analyze the current food delivery wars and garner some lessons in crisis management from Boeing. "After Hours" is part of HBR Presents, a new network of business podcasts curated by HBR editors. For our full lineup of shows, search “HBR” on your favorite podcast app or visit hbr.org/podcasts. Nicholas Pearce, clinical associate professor at Kellogg School of Management, says too many companies and individuals go about their daily business without a strong sense of purpose. He argues that companies that are not simply profit-driven are more likely to succeed and that the same goes for people. He says individuals who align their daily job with their life’s work will be happier and more productive. Pearce is also a pastor, an executive coach, and the author of the book "The Purpose Path: A Guide to Pursuing Your Authentic Life's Work." Thales Teixeira, associate professor at Harvard Business School, believes many startups fail precisely because they try to emulate successful disruptive businesses. He says by focusing too early on technology and scale, entrepreneurs lose out on the learning that comes from serving initial customers with an imperfect product. He shares how Airbnb, Uber, Etsy, and Netflix approached their first 1,000 customers very differently, helping to explain why they have millions of customers today. Teixeira is the author of the book "Unlocking the Customer Value Chain: How Decoupling Drives Consumer Disruption." Tomas Chamorro-Premuzic, a psychologist and chief talent scientist at ManpowerGroup, says we're not picking leaders in the right way. While we should be promoting people based on their competence and potential, it's often the incompetent, overconfident candidates -- most of them men -- who get ahead. Studies show that, by many measures, women are actually better equipped to become strong, successful managers. But the solution to getting more of them into the executive ranks isn't quotas or other initiatives that mandate gender diversity. To improve leadership across the board, we need to focus on the metrics proven to enhance performance and set higher standards for everyone. Chamorro-Premuzic is also a professor of business psychology at University College London and Columbia University, and the author of the book "Why Do So Many Incompetent Men Become Leaders? : (And How to Fix It)" (Harvard Business Review Press, 2019). Ryan Buell, associate professor at Harvard Business School, says the never-ending quest for operational efficiency is having unintended consequences. When customers don’t see the work that’s being done in back offices, offshore factories, and algorithms, they’re less satisfied with their purchases. Buell believes organizations should deliberately design windows into and out of operations. He says increasing operational transparency helps customers and employees alike appreciate the value being created. Buell is the author of the HBR article "Operational Transparency." Reshma Saujani, founder of Girls Who Code, is on a mission to get more young women into computer science. She says the problem isn't lack of interest. Her non-profit organization has trained thousands of girls to code, and the ranks of female science and engineering graduates continue to grow. And yet men still dominate the tech industry. Saujani believes companies can certainly do more to promote diversity. But she also wants girls and women to stop letting perfectionism hold them back from volunteering for the most challenging tasks and jobs. She is the author of the book "Brave, Not Perfect: Fear Less, Fail More, and Live Bolder." Efosa Ojomo, global prosperity lead at the Clayton Christensen Institute, argues that international aid is not the best way to develop poor countries, nor are investments in natural resource extraction, outsourced labor, or incremental improvements to existing offerings for established customer bases. Instead, entrepreneurs, investors, and global companies should focus on market-creating innovations. Just like Henry Ford in the United States a century ago, they should see opportunity in the struggles of frontier markets, target non-consumption, and create not just products and services but whole ecosystems around them, which then promote stability and economic growth. Ojomo is the co-author of the HBR article "Cracking Frontier Markets" and the book The Prosperity Paradox. Teresa Amabile, professor at Harvard Business School, is approaching her own retirement by researching how ending your work career affects your sense of self. She says important psychological shifts take place leading up to, and during, retirement. That holds especially true for workers who identify strongly with their job and organization. Amabile and her fellow researchers have identified two main processes that retirees go through: life restructuring and identity bridging. Mo Gawdat, founder of One Billion Happy and former Chief Business Officer at Google's X, spent years working in technological innovation. At Google's so-called "dream factory," he learned how to operationalize moonshot ventures aiming to solve some of the world's hardest problems. But then a personal tragedy — the loss of his son — set him on a new path. Gawdat launched a startup with the moonshot goal of helping one billion people find happiness. Gawdat is also the author of "Solve for Happy: Engineer Your Path to Joy." Krista Tippett, host of "On Being," believes we are in the middle of a big shift in the workplace. For a long time, she says, we were taught to keep all of our personal opinions and problems out of the office — even if that wasn't the reality. Now, as worker expectations change and people bring more of their authentic selves to work, Tippett says managers need to discover how to allow more honesty and emotions and humanity in the workplace, while still delivering in a high-performing environment. Richard Sheridan, CEO of Menlo Innovations, says it took him years to learn what really mattered at work and how to create that kind of workplace culture. As a company leader today, he works hard to make sure both his job — and the jobs of his employees — are joyful. That doesn't mean they are happy 100% of the time, he argues, but that they feel fulfilled by always putting the customer first. Sheridan is the author of "Chief Joy Officer: How Great Leaders Elevate Human Energy and Eliminate Fear." Thomas Steenburgh, a marketing professor at the University of Virginia Darden School of Business, was inspired by his early career at Xerox to discover why firms with stellar sales and R&D departments still struggle to sell new innovations. The answer, he finds, is that too many companies expect shiny new products to sell themselves. Steenburgh explains how crafting new sales processes, incentives, and training can overcome the obstacles inherent in selling new products. He's the coauthor, along with Michael Ahearne of the University of Houston's Sales Excellence Institute, of the HBR article "How to Sell New Products." Herminia Ibarra, a professor at the London Business School, argues that job transitions — even exciting ones that you've chosen — can come with all kinds of unexpected emotions. Going from a job that is known and helped define your identity to a new position brings all kinds of challenges. Ibarra says that it's important to recognize how these changes are affecting you but to keep moving forward and even take the opportunity to reinvent yourself in your new role. Caitlin Rosenthal, assistant professor of history at UC Berkeley, argues there are strong parallels between the accounting practices used by slaveholders and modern business practices. While we know slavery's economic impact on the United States, Rosenthal says we need to look closer at the details — down to accounting ledgers – to truly understand what abolitionists and slaves were up against, and how those practices still influence business and management today. She's the author of the book, "Accounting for Slavery: Masters and Management." Nick Morgan, a communications expert and speaking coach, says that while email, texting, and Slack might seem like they make communication easier, they actually make things less efficient. When we are bombarded with too many messages a day, he argues, humans are likely to fill in the gaps with negative information or assume the worst about the intent of a coworker's email. He offers up a few tips and tricks for how we can bring the benefits of face-to-face communication back into the digital workplace. Morgan is the author of the book, "Can You Hear Me? : How to Connect with People in a Virtual World." John Kerry, former U.S. Secretary of State, shares management and leadership lessons from his long career in public service. He discusses how to win people over to your side, bounce back from defeats, and never give up on your long-term goals. He also calls on private sector CEOs to do more to solve social and political problems. Kerry’s new memoir is "Every Day Is Extra." Francesca Gino, a professor at Harvard Business School, shares a compelling business case for curiosity. Her research shows allowing employees to exercise their curiosity can lead to fewer conflicts and better outcomes. However, even managers who value inquisitive thinking often discourage curiosity in the workplace because they fear it's inefficient and unproductive. Gino offers several ways that leaders can instead model, cultivate, and even recruit for curiosity. Gino is the author of the HBR article "The Business Case for Curiosity." Bill Kerr, a professor at Harvard Business School, studies the increasing importance of talent clusters in our age of rapid technological advances. He argues that while talent and industries have always had a tendency to cluster, today's trend towards San Francisco, Boston, London and a handful of other cities is different. Companies need to react and tap into those talent pools, but moving the company to one isn't always an option. Kerr talks about the three main ways companies can access talent. He's the author of the HBR article "Navigating Talent Hot Spots," as well as the book "The Gift of Global Talent: How Migration Shapes Business, Economy & Society." Mike Ovitz, a cofounder of Creative Artists Agency and former president of The Walt Disney Company, says there are many parallels between the movie and music industry of the 1970s and 1980s and Silicon Valley today. When it comes to managing creatives, he says you have to have patience and believe in the work. But to get that work made, you have to have shrewd negotiating skills. Ovitz says he now regrets some of the ways he approached business in his earlier years, and advises young entrepreneurs about what he's learned along the way. He's the author of the new memoir "Who Is Michael Ovitz?" Editor's note: This post was updated September 26, 2018 to correct the title of Ovitz's book. Marc Effron, president of the Talent Strategy Group, looked at the scientific literature behind high performance at work and identified eight steps we can all take to get an edge. Among those steps is taking care of your body -- sleep, exercise, and nutrition. But the most important is sleep. He offers some practical advice on getting more and better rest, and making time to exercise. Effron is the author of the new book, "8 Steps to High Performance: Focus On What You Can Change (Ignore the Rest)." Rebecca Shambaugh, a leadership coach, says being too collaborative can actually hold you back at work. Instead of showing how well you build consensus and work with others, it can look like indecision or failure to prioritize. She explains what to do if you over-collaborate, how to manage someone who does, and offers some advice for women — whose bosses are more likely to see them as overly consensus-driven. Shambaugh is the author of the books "It's Not a Glass Ceiling, It's a Sticky Floor" and "Make Room For Her." Kathryn Hume, VP of integrate.ai, discusses the current boundaries between artificially intelligent machines, and humans. While the power of A.I. can conjure up some of our darkest fears, she says the reality is that there is still a whole lot that A.I. can't do. So far, A.I. is able to accomplish some tasks that humans might need a lot of training for, such as diagnosing cancer. But she says those tasks are actually more simple than we might think - and that algorithms still can't replace emotional intelligence just yet. Plus, A.I. might just help us discover new business opportunities we didn't know existed. Katherine Phillips, a professor at Columbia Business School, discusses research showing that African-Americans are often reluctant to tell their white colleagues about their personal lives — and that it hurts their careers. She says people should expect and welcome differences at work, and she gives practical advice for strengthening connections among colleagues of different racial backgrounds. Phillips is a coauthor of the article “Diversity and Authenticity,” in the March–April 2018 issue of Harvard Business Review. Kristie Rogers, an assistant professor of management at Marquette University, has identified a free and abundant resource most leaders aren’t giving employees enough of: respect. She explains the two types of workplace respect, how to communicate them, and what happens when you don't foster both. Rogers is the author of the article “Do Your Employees Feel Respected?” in the July–August 2018 issue of Harvard Business Review. Former U.S. President Bill Clinton and author James Patterson discuss their new novel, The President is Missing, in which a fictional president fights a cybersecurity attack amid intense political dysfunction. The coauthors share their lessons for collaborating across disparate skillsets — “clarity on the objective” and “don’t be afraid to admit what you don’t know.” They also talk about their research into cybersecurity threats and how realistic their thriller scenario could be. Nancy Rothbard, a professor of management at the University of Pennsylvania’s Wharton School, draws a distinction between workaholism and working long hours. She explains the health consequences of being addicted to your work. She also gives practical advice for managing work addiction, whether it’s you who’s suffering, your direct report, boss, peer, or partner. Rothbard is the coauthor of the HBR article "How Being a Workaholic Differs from Working Long Hours — and Why That Matters for Your Health." Professors Michael Toffel, of Harvard Business School, and Aaron Chatterji, of Duke’s Fuqua School of Business, discuss the emerging phenomenon of CEO activism. They explain how political polarization in the U.S. and employee expectations around company values are pushing corporate leaders to enter into controversial political and social debates. Toffel and Chatterji are the coauthors of the HBR article “Divided We Lead.” We also hear from PayPal CEO Dan Schulman, who talks about standing up for transgender rights and what he tells other CEOs who ask his advice on taking on an activist role. Rasmus Hougaard and Jacqueline Carter, of the global consulting firm Potential Project, make their case for mindfulness, selflessness, and compassion in leadership. Their survey of 30,000 leaders showed those characteristics are foundational — and often missing from leadership development programs. Practicing self-awareness, they say, leads to more focused and more people-focused organizations. They’re the authors of the new book, “The Mind of the Leader: How to Lead Yourself, Your People, and Your Organization for Extraordinary Results." Drew Gilpin Faust, the president of Harvard University, talks about leading the institution through a decade of change, from the financial crisis to the Trump era. Faust discusses how communicating as a leader is different from communicating as an expert, the surprising ways her study of U.S. Civil War history prepared her for the top job, and what it's like to be the first female president in the University's four-century history. Tsedal Neeley, a professor at Harvard Business School, and Paul Leonardi, a management professor at UC Santa Barbara, talk about the potential that applications such as Slack, Yammer, and Microsoft Teams have for strengthening employee collaboration, productivity, and organizational culture. They discuss their research showing how effective these tools can be and warn about common traps companies face when they implement them. Neeley and Leonardi are co-authors of the article "What Managers Need to Know About Social Tools" in the November-December 2017 issue of Harvard Business Review. Kenneth Frazier, the CEO of the pharmaceutical company known as MSD outside of North America, discusses his upbringing and how it influences his leadership as chief executive. He is one of the few African-American CEOs in the Fortune 500, and shot to prominence after resigning from a council advising the Trump White House. Frazier discusses the importance of values in leadership and how Merck thinks about R&D and drug prices. Scott DeRue, the dean of University of Michigan's Ross School of Business, says the old model of business school education is gone. It's no longer good enough to sequester yourself on campus for two years before heading out into the world of commerce. DeRue discusses how the perceived value of an MBA education is changing in the digital era, and how MBA programs are innovating in response to individual and company demands. What should you do when you become the boss? HBR's new advice podcast Dear HBR: has the answers. In this bonus episode, Dear HBR: co-hosts Alison Beard and Dan McGinn answer your questions with the help of Harvard Business School professor Alison Wood Brooks, an expert on behavioral insights. They talk through what to do when your direct reports are older than you, how to be a likeable leader, and what to say if you're not ready to be in charge. Jay Conger, a leadership professor at Claremont McKenna College, goes behind the scenes to show how you can get on, and stay on, your company's fast track. He demystifies how companies (often very secretly) develop and update their list of high-potential employees. And he discusses five critical "X factors" his research has shown are common to high-potential employees. Conger is the co-author of the new book, "The High Potential's Advantage: Get Noticed, Impress Your Bosses, and Become a Top Leader." 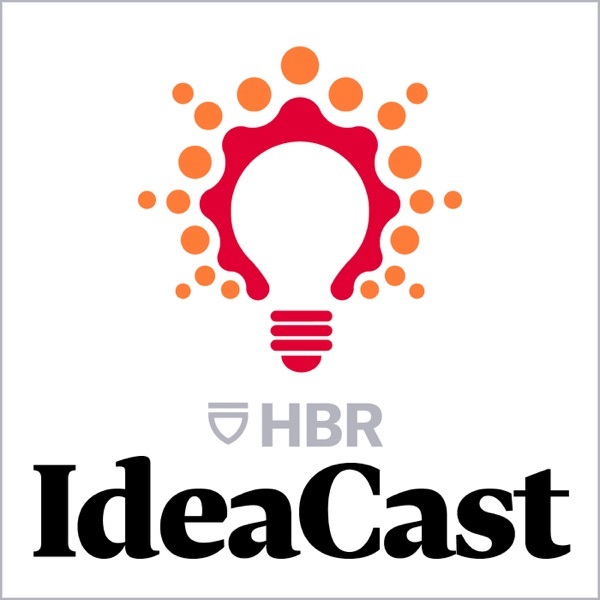 In this special episode, HBR IdeaCast host Sarah Green Carmichael introduces Harvard Business Review’s new podcast “Women at Work,” about women’s experiences in the workplace. This episode about being heard tackles three aspects of communication: first, how and why women’s speech patterns differ from men’s; second, how women can be more assertive in meetings; and third, how women can deal with interrupters (since the science shows women get interrupted more often than men do). Guests: Deborah Tannen, Jill Flynn, and Amy Gallo. Moshe Cohen, a senior lecturer at Boston University's Questrom School of Business, says you can't take the emotion out of a negotiation. After all, negotiations revolve around conflict, risk, and reward — which are inherently emotional. Instead of sidelining your feelings, understand them. Cohen explains how to understand your triggers and use your emotions and those of your counterparts to your advantage. Jagdip Singh, a professor of marketing at the Weatherhead School of Management at Case Western Reserve University, explains his research team’s new findings about customer satisfaction. He says apologizing is often counterproductive and that offering customers different possible solutions is usually more effective. He discusses what companies can do to help service representatives lead interactions that leave a customer satisfied—whether or not the problem has been solved. Singh’s research is featured in the article "‘Sorry’ Is Not Enough" in the January–February 2018 issue of Harvard Business Review. Sydney Finkelstein, a professor of management at the Tuck School of Business at Dartmouth College, encourages leaders to approach their direct reports like teachers. As Finkelstein explains, being a teacher-leader means continually meeting face to face with employees to communicate lessons about professionalism, points of craft, and life. He says it’s easy to try and that teaching is one of the best ways to motivate people and improve their performance. Finkelstein is the author of “The Best Leaders Are Great Teachers” in the January–February 2018 issue of Harvard Business Review. Mihir Desai, a professor of finance at Harvard Business School, breaks down the brand-new U.S. tax law. He says it will affect everything from how corporate assets are financed to how business are structured. He predicts many individuals will lower their tax burdens by setting themselves up as corporations. And he discusses how the law shifts U.S. tax policy toward a territorial system of corporate taxes, one that will affect multinationals and national competitiveness. Finally, Desai explains what he would have done differently with the $1.5 trillion the tax cut is projected to cost. Aron Ain, the CEO of Kronos Incorporated, explains why unlimited vacation can be in the best interests of employees and the organization. He describes how his software company tracks requests for time off and the conversations he's had with skeptical managers and longtime employees. Ain says the "open vacation" program benefits the business and serves as a template for other companies figuring out how to make unlimited vacation work for them. Rachel Botsman, the author of “Who Can You Trust? ", talks about how trust works, whether in relation to robots, companies, or other people. Technology, she says, speeds up the development of trust and can help us decide who to trust. But when it comes to making those decisions, we shouldn’t leave our devices to their own devices. Aaron Levie, the CEO of Box, reflects on the cloud storage company’s entry into the enterprise market. He was skeptical about pivoting away from consumers, and it was challenging. But by staying disciplined with the product and deeply understanding market trends, they've made the strategic shift from B2C to B2B work. Andrew Liveris, the CEO of Dow Chemical, discusses the 120-year-old company’s ambitious sustainability agenda. He says an environmentally driven business model is good for the earth—and the bottom line. Liveris is one of the CEOs contributing to Harvard Business Review’s Future Economy Project, in which leaders detail their company’s efforts to adapt to and mitigate climate change. Pablo Isla, the CEO of Inditex, is No. 1 on Harvard Business Review’s list of “The Best-Performing CEOs in the World 2017.” He opens up about his management style and reflects on his tenure leading the Spanish clothing and accessories giant, whose brands include Zara, Massimo Dutti, and Pull&Bear. Successful fast fashion takes much more than speed, he says. Isla discusses aspects of the company’s business model: source close to headquarters, entrust store managers with product orders, and treat what’s sold in stores and online as one stock. He also forecasts the future of physical stores. Nancy Koehn, a Harvard Business School historian, tells the life stories of three influential leaders: the abolitionist Frederick Douglass, the pacifist Dietrich Bonhoeffer, and the ecologist Rachel Carson. They all overcame personal challenges to achieve and inspire social change. In Koehn’s new book, "Forged in Crisis: The Power of Courageous Leadership in Turbulent Times," she argues that tomorrow's leaders of social change will come from the business world. Jeff Bussgang, a venture capitalist who teaches entrepreneurship at Harvard Business School, knows from personal experience and having funded many startups that there’s more than one way into that world. You don’t have to have a technical background. Excellent communication skills and a high emotional IQ are startup skills, too. Bussgang, the author of “Entering StartUpLand,” walks through the process of finding your dream job in a new company. Satya Nadella, Microsoft’s third CEO, opens up about his effort to refresh the culture of the company and renew its focus on the future. He reflects on important life lessons he learned growing up in India, immigrating to the U.S., and working for Microsoft for 25 years. Nadella thinks of the past, he says, for the sake of the future—of technology, public policy, and work. His new autobiography is "Hit Refresh." Annie McKee, a senior fellow at the University of Pennsylvania and author of the book “How to Be Happy at Work,” tells the story of her journey to happiness—starting with her early job as a caregiver for an elderly couple. Even in later, higher-paying work, McKee saw that pursuing prestige and success for the wrong reasons ruined people’s personal and professional lives. She discusses how misplaced ambition, obsession with money, and fatalism are traps anyone, in any kind of job, can fall for—and how to not let that happen to you. Mark Mortensen, an associate professor of organizational behavior at INSEAD, discusses the research on "multiteaming"—when employees work not only across multiple projects, but multiple teams. It has significant benefits at the individual, team, and organizational levels. Among them: multiteaming saves money. The cost—stretched employees—is hard to see. And that is where the tension, and the risk, lies. Mortensen is the co-author, with Heidi K. Gardner, of “The Overcommitted Organization” in the September–October 2017 issue of Harvard Business Review. Sue Ashford, a professor at the University of Michigan’s Ross School of Business, breaks down her decades of research on leadership—who achieves it, and how a group grants it. She explains that the world isn’t divided into leaders and followers. Instead, it’s a state that everyone can reach, whether they’re officially in charge or not. She also explains why shared leadership benefits a team and organization. Ashford offers tips on how to effectively grow leadership in yourself and your employees. Forest Reinhardt and Michael Toffel, Harvard Business School professors, talk about how a giant, global enterprise that operates and owns assets at sea level is fighting climate change—and adapting to it. They discuss what the private sector can learn from the U.S. Navy’s scientific and sober view of the world. Reinhardt and Toffel are the authors of “Managing Climate Change: Lessons from the U.S. Navy” in the July–August 2017 issue of Harvard Business Review. Steve Blank, entrepreneurship lecturer at Stanford, UC Berkeley, and Columbia, talks about his experience of coming to Silicon Valley and building companies from the ground up. He shares how he learned to apply customer discovery methods to emerging high technology startups. And he explains why he believes most established companies are still failing to apply lean startup methodology in their corporate innovation programs. Blank is the author of the HBR article, "Why the Lean Start-Up Changes Everything." Erik Brynjolfsson, MIT Sloan School professor, explains how rapid advances in machine learning are presenting new opportunities for businesses. He breaks down how the technology works and what it can and can’t do (yet). He also discusses the potential impact of AI on the economy, how workforces will interact with it in the future, and suggests managers start experimenting now. Brynjolfsson is the co-author, with Andrew McAfee, of the HBR Big Idea article, “The Business of Artificial Intelligence.” They’re also the co-authors of the new book, “Machine, Platform, Crowd: Harnessing Our Digital Future. Phil Knight, former chair and CEO of Nike, tells the story of starting the sports apparel and equipment giant after taking an entrepreneurship class at Stanford and teaming up with his former track coach, Bill Bowerman. Together (and with the help of a waffle iron) they changed how running shoes are designed and made. Knight discusses the company's enduring culture of innovation, as well as the succession process that led to former runner and Nike insider Mark Parker becoming CEO. Erin Meyer, professor at INSEAD, discusses management hierarchy and decision-making across cultures. Turns out, these two things don’t always track together. Sometimes top-down cultures still have strong consensus-driven decision-making styles — and the other way around. Meyer helps break down and map these factors so that managers working across cultures can adapt. She’s the author of the article, "Being the Boss in Brussels, Boston, and Beijing" in the July-August 2017 issue of Harvard Business Review. Dan McGinn, senior editor at Harvard Business Review, talks about what businesspeople can learn from how top performers and athletes prepare for their big moments. In business, a big sales meeting, presentation, or interview can be pivotal to success. The same goes for pep talks that motivate employees. McGinn talks about both the research and practical applications of mental preparation and motivation. He’s the author of the book, "Psyched Up: How the Science of Mental Preparation Can Help You Succeed." His article, “The Science of Pep Talks,” is in the July-August 2017 issue of Harvard Business Review. Robert Austin, a professor at Ivey Business School, and Gary Pisano, a professor at Harvard Business School, talk about the growing number of pioneering firms that are actively identifying and hiring more employees with autism spectrum disorder and other forms of neurodiversity. Global companies such as SAP and Hewlett Packard Enterprise are customizing their hiring and onboarding processes to enable highly-talented individuals, who might have eccentricities that keep them from passing a job interview — to succeed and deliver uncommon value. Austin and Pisano talk about the challenges, the lessons for managers and organizations, and the difference made in the lives of an underemployed population. Austin and Pisano are the co-authors of the article, “Neurodiversity as a Competitive Advantage” in the May-June 2017 issue of Harvard Business Review. Mihir Desai, professor at Harvard Business School and Harvard Law School, argues for re-humanizing finance. He says the practice of finance, with increasing quantification, has lost touch with its foundations. But he says finance can be principled, ethical, even life-affirming. And demonizing it or ignoring it means that the rest of us – those not in finance – risk misunderstanding it, which has all kinds of implications for how we make decisions and plan for our futures. Desai is the author of the new book, "The Wisdom of Finance: Discovering Humanity in the World of Risk and Return." He also writes about finance and the economy for hbr.org. Elena Botelho, partner at leadership advisory firm ghSmart, talks about the disconnect between the stereotype of the CEO and what research shows actually leads to high performance at that level. She says the image of the charismatic, tall male with a top university degree who’s a strategic visionary and makes great decisions under pressure is a pervasive one. However, research shows that four behaviors more consistently lead to high performance in the corner office: 1) deciding with speed and conviction 2) engaging for impact 3) adapting proactively 4) delivering reliably. Botelho is the co-author of the article “What Sets Successful CEOs Apart” in the May-June 2017 issue of Harvard Business Review. Jennifer Petriglieri, professor at INSEAD, discusses how talented employees can avoid being crushed by lofty expectations -- whether their own, or others'. She has researched how people seen as "high potential" often start to feel trapped and ultimately burn out. Petriglieri discusses practical ways employees can handle this, and come to see this difficult phase as a career rite of passage. She’s the co-author of “The Talent Curse” in the May-June 2017 issue of Harvard Business Review. Wharton professor David Robertson discusses a "third way" to innovate besides disruptive and sustaining innovations. He outlines this approach through the examples of companies including LEGO, GoPro, Victoria's Secret, USAA, and CarMax. It consists of creating a family of complementary innovations around a product or service, all of which work as a system to carry out a single strategy. Robertson's the author of "The Power of Little Ideas: A Low-Risk, High-Reward Approach to Innovation." Facebook COO Sheryl Sandberg talks about returning to work after her husband’s death, and Wharton management and psychology professor Adam Grant discusses what the research says about resilience. In this joint interview, they talk about how to build resilience in yourself, your team, and your organization. They’re the authors of the new book, "Option B: Facing Adversity, Building Resilience, and Finding Joy." Deloitte national managing director Kim Christfort talks about the different personality styles in an organization and the challenges of bringing them together. Her firm has developed a classification system to help companies better understand personality styles and capitalize on their cognitive diversity. She and Suzanne M. Johnson Vickberg coauthored the article, "Pioneers, Drivers, Integrators, and Guardians" in the March-April 2017 issue of Harvard Business Review. Stanford economist Nicholas Bloom discusses the research he's conducted showing what’s really driving the growth of income inequality: a widening gap between the most successful companies and the rest, across industries. In other words, inequality has less to do with what you do for work, and more to do with which specific company you work for. The rising gap in pay between firms accounts for a large majority of the rise in income inequality overall. Bloom tells us why, and discusses some ways that companies and governments might address it. He’s the author of the Harvard Business Review article, “Corporations in the Age of Inequality.” For more, visit hbr.org/inequality. Hal Gregersen, executive director of the MIT Leadership Center at Sloan School of Management, says too many CEOs and executives are in a bubble, one that shields them from the reality of what’s happening in the world and in their businesses. The higher you rise, the worse it gets. Gregersen discusses practical steps top managers can make to ask better questions, improve the flow of information, and more clearly see what matters. His article “Bursting the CEO Bubble” is in the March-April 2017 issue of Harvard Business Review. Danielle Brown, Intel Chief Diversity & Inclusion Officer, talks about the corporation’s $300 million initiative to increase diversity, the largest such investment yet by a technology company. The goal is to make Intel’s U.S. workforce mirror the talent available in the country by 2020. Brown breaks down what exactly Intel is doing, why the corporation is doing it, where it’s going well (recruiting), where it’s not going as well (retention), and what other companies can learn from Intel’s experience. Michael Mankins, Bain & Company partner and head of the firm's Organization practice, explains how organizations unintentionally fail to manage their employees' time and energy. He also lays out what managers can do to reduce what he calls organizational drag. Mankins is a coauthor of "Time, Talent, Energy: Overcome Organizational Drag and Unleash Your Team’s Productive Power." Larry Summers, former U.S. treasury secretary, is calling on American business leaders to stand up to President Donald Trump. Summers sharply criticizes the administration’s protectionist agenda, and he says it’s time for executives to call out how those policies undermine the economy and the country's best interests in the long term. Jerry Seinfeld shares his insights into innovation, self-criticism, and how to know when to quit. The U.S. comedian conquered 1990s television with his sitcom and is now finding a new audience for his online talk show, "Comedians in Cars Getting Coffee." Roger Martin of Rotman School of Management, Paul Zak of Claremont Graduate University, Clayton Christensen of Harvard Business School, comedian Jerry Seinfeld, and HBR Editor-in-Chief Adi Ignatius respectively discuss customer loyalty, the neuroscience of trust, entrepreneurship in Africa, the source of innovation, and the new, hefty magazine. For more, see the January-February 2017 issue. Basecamp CEO Jason Fried says too many people find it difficult to get work done at the workplace. His company enforces quiet offices, fewer meetings, and different collaboration and communication practices. The goal is to give employees bigger blocks of time to be truly productive. Eddie Yoon, author of "Superconsumers" and growth strategy expert at The Cambridge Group, explains how companies can find their most passionate customers and use their invaluable insights to improve products and attract new customers. HBR contributing editor Amy Gallo discusses the best tactics to recognize, react to, and recover from stressful situations. She's a contributor to the "HBR Guide to Managing Stress at Work." Bharat Anand, author of The Content Trap and professor at Harvard Business School, talks about the strategic challenges facing digital businesses, and explains how he and his colleagues wrestled with them when designing HBX, the school's online learning platform. Joan C. Williams, distinguished professor and director of the Center for WorkLife Law at UC Hastings, discusses the white working class voters who helped elect Republican Donald Trump as U.S. President, and why Democrat Hillary Clinton did not connect with them. Jeffrey Garten of Yale School of Management discusses how Genghis Khan, Mayer Amschel Rothschild, Margaret Thatcher, and others made the world more integrated. Garten is the author of "From Silk to Silicon: The Story of Globalization through Ten Extraordinary Lives". Tanya Menon, associate professor at Fisher College of Management, Ohio State University, explains how to recognize if your management style is too hands off. She's the co-author of "Stop Spending, Start Managing: Strategies to Transform Wasteful Habits." Rob Cross, professor at the University of Virginia’s McIntire School of Commerce, explains how work became an exhausting marathon of group projects. He's the coauthor of the HBR article "Collaborative Overload." Joseph Badaracco, Harvard Business School professor, explains what to do when no decision feels like a good decision. He is the author of "Managing in the Gray: Five Timeless Questions for Resolving Your Toughest Problems at Work." David Burkus, author of "Under New Management", explains why some companies are taking extreme measures to limit electronic communication. Burkus is also a professor at Oral Roberts University and host of the podcast Radio Free Leader. Leslie John, Harvard Business School professor, explains why you shouldn't waste time trying to detect your counterpart's lies; instead, use tactics drawn from psychology to get them to divulge the truth. She's the author of the HBR article "How to Negotiate with a Liar." Ethan Bernstein, Harvard Business School professor, and John Bunch, holacracy implementation lead at Zappos, discuss the online retailer's transition to a flat, self-managed organization. They are the coauthors of the HBR article "Beyond the Holacracy Hype." More of us are working in organizations employing a mix of freelancers, contractors, consultants, and full-timers, explains Jonathan Younger, coauthor with Norm Smallwood of "Agile Talent: How to Source and Manage Outside Experts." Managers play a huge role in their employees' personal lives, which in turn affects productivity, morale, and turnover at work. Professor Scott Behson, author of "The Working Dad's Survival Guide," and professor at Fairleigh Dickinson University, gives practical tips for being a leader who is flexible, fair, and effective. Robert Kegan and Lisa Lahey, both of Harvard, discuss what they've learned from studying radically transparent organizations where people at all levels of the hierarchy get candid feedback, show vulnerability, and grow on the job. Their book is "An Everyone Culture." Todd Rose, the Director of the Mind, Brain, & Education program at the Harvard Graduate School of Education and the author of "The End of Average: How to Succeed in a World That Values Sameness," explains why we should stop using averages to understand individuals. There's a lot of crying and shouting both in politics and at the office. Gautam Mukunda of Harvard Business School and Gianpiero Petriglieri of INSEAD help us try to make sense of it all. Kira Hudson Banks, Ph.D., is an Assistant Professor in the department of psychology at Saint Louis University, and a principal at consulting firm the Mouse and the Elephant. We spoke with her about why managers shouldn't wait for a controversy to start talking about race. Job interviews can feel more like a stylized ritual than a normal conversation. Esquire writer and journalist Cal Fussman, who's interviewed scores of people from Mikhail Gorbachev to Jeff Bezos to Dr. Dre, gives us his advice, from how to build trust with a subject to getting an honest answer to a tough question. Lorne Michaels, Bill Walsh, Alice Waters–all have had a disproportionate impact in their respective industries through their knack for collecting and inspiring great talent. We hear how they do it from Sydney Finkelstein, the Steven Roth Professor of Management in Dartmouth’s Tuck School of Business and the author of "Superbosses: How Exceptional Leaders Manage the Flow of Talent". Emma Seppälä, Stanford researcher and author of "The Happiness Track," explains the proven benefits of a positive outlook; simple ways to increase your sense of well-being; and why it's not about being ecstatic or excited all the time. In every issue, we feature a conversation with someone who's been wildly successful outside the traditional business world. This time, it's an astrophysicist. Alexandra Samuel, online engagement expert and author of "Work Smarter with Social Media," on the tools you should use--and the ones you could be ignoring. Renée Mauborgne of INSEAD explains how a landmark idea is evolving. She is coauthor, along with W. Chan Kim, of "Blue Ocean Strategy, Expanded Edition (2015)." Paul Oyer, Stanford economist and the author of "Everything I Ever Needed to Know About Economics I Learned from Online Dating," explains the marketplace of online love. Steven G. Mandis of Columbia Business School discusses his book, "What Happened to Goldman Sachs: An Insider's Story of Organizational Drift and Its Unintended Consequences." Bruce Nussbaum, professor at Parsons The New School of Design and author of "Creative Intelligence: Harnessing the Power to Create, Connect, and Inspire." Christine Porath, associate professor at Georgetown University's McDonough School of Business and coauthor of the HBR article "The Price of Incivility." James Allworth, regular contributor to HBR and coauthor of the Nieman Reports article "Breaking News: Mastering the Art of Disruptive Innovation in Journalism." Michael Schrage, research fellow at MIT Sloan School's Center for Digital Business and author of the HBR Single "Who Do You Want Your Customers to Become?" Grant McCracken, anthropologist and author of "Culturematic: How Reality TV, John Cheever, a Pie Lab, Julia Child, Fantasy Football . . . Will Help You Create and Execute Breakthrough Ideas." Daniel Gross, columnist and economics editor for Yahoo! Finance and author of "Better, Stronger, Faster: The Myth of American Decline . . . and the Rise of a New Economy." Nicholas Dunbar, author of "The Devil's Derivatives: The Untold Story of the Slick Traders and Hapless Regulators Who Almost Blew Up Wall Street ... and Are Ready to Do It Again." Anita Woolley, assistant professor of organizational behavior and theory at Carnegie Mellon University and coauthor of the HBR article "What Makes a Team Smarter? More Women." David Bryce, professor of strategy at Brigham Young University's Marriott School of Management and coauthor of the HBR article "Competing Against Free." Thomas Hout, visiting professor at the University of Hong Kong's School of Business and coauthor of the HBR article "China vs the World: Whose Technology Is It?" Jeff Cruikshank, coauthor of "The Man Who Sold America: The Amazing (but True!) Story of Albert D. Lasker and the Creation of the Advertising Century." Daniel Isenberg, professor of management practice at Babson College and author of the HBR article "The Big Idea: How to Start an Entrepreneurial Revolution." Susan Cantrell, fellow at the Accenture Institute for High Performance and coauthor of "Workforce of One: Revolutionizing Talent Management Through Customization." Vijay Govindarajan, director of the Center for Global Leadership at the Tuck School of Business and coauthor of the HBR article "How GE Is Disrupting Itself." Sylvia Ann Hewlett, founding president of the Center for Work-Life Policy and coauthor of the HBR article "How Gen Y and Boomers Will Reshape Your Agenda."